For those who want to migrate to Canada through the Manitoba Skilled Worker Program, there were 2 draws on Dec 21 and Dec 30 where 316 immigrants got Letters of Advice to Apply (LAAs). The Manitoba Provincial Nominee Program (MPNP) held two draws in quick succession towards the end of 2016. The two draws in the Skilled Worker immigration stream took place on December 21 and December 30 with 316 Letters of Advice to Apply (LAAs) issued to eligible candidates who had made a formal ‘Expression of Interest’ in advance to immigrate to the province. These particular individuals will now be allowed to submit an application for a provincial nomination certificate. The certificate enables the individual including their accompanying family members to apply for Canadian permanent residence. In the first draw held on December 21, 115 LAAs were issued to candidates in the Skilled Workers Overseas sub-category and a further 20 LAAs were issued under this sub-category a few days later. In the second draw that took place on December 30 under the Skilled Workers in Manitoba sub-category, the remaining 181 LAAs were issued. (In the draw on December 21 no LAAs were issued under this category). This sub-category of the MPNP is for qualified skilled workers who may be outside Canada but have nonetheless shown a connection to Manitoba and its labor market. The awarding of points in this category is based on factors such as language proficiency, age, education, work experience, education, and adaptability. 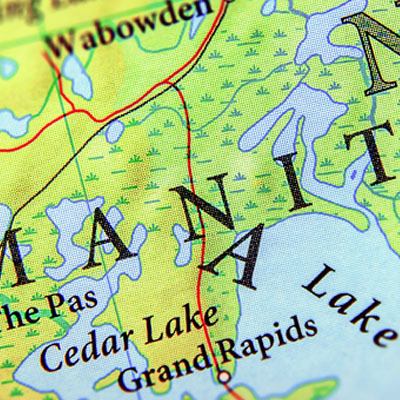 It is possible for candidates to awarded more points for having a connection to Manitoba, however, candidates may also find their points deducted for having connections to other Canadian provinces under certain ‘risk assessment factors’. Under this sub-category of the MPNP, the province of Manitoba accepts applications from international student graduates and qualified foreign workers who are presently working in the province and have been offered a permanent job by their employer. It is important to also note that the points-based assessment criteria is not used in determining the eligibility of Skilled Workers in Manitoba.